Access Health Care's founder and CEO Pariksith Singh, MD, was recently informed that he was accepted as a member of Florida Society for Post-Acute and Long-Term Care Medicine. Dr. Singh was accepted through his affiliation as Medical Director of Spring Hill & Rehabilitation Center at 12170 Cortez Boulevard, Brooksville, Florida. The Florida Society for Post-Acute and Long-Term Care Medicine was formed in 1990 to help medical directors, attending physicians, and other providers, practicing in post-acute care navigate their way through the continuum of care spectrum. The mission of FMDA is to promote the highest quality care as patients transition through the long-term care continuum. FMDA is dedicated to providing leadership, professional education, and advocacy for the inter-professional team. 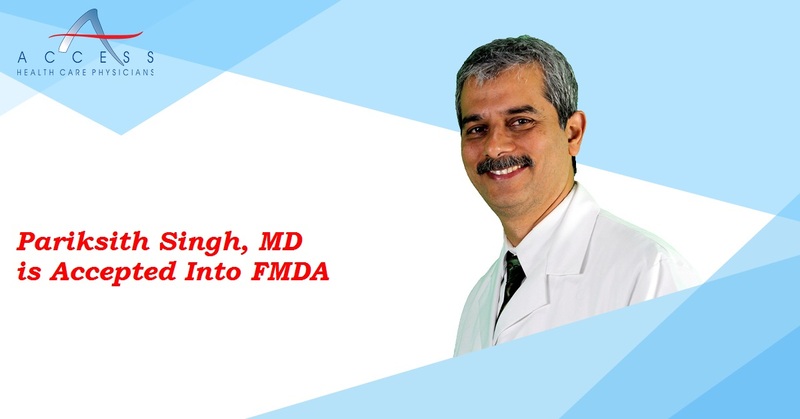 FMDA maintains a database of nearly 400 members and 1,100 contacts. Most members are medical directors and attending physicians of Florida skilled nursing facilities or nursing homes. FMDA is the official state affiliate and largest chapter of the Columbia, Maryland based AMDA – the Society for post-acute and long-term care medicine and specialty society of the Florida Medical Association. FMDA promotes the education of its membership in issues pertaining to post-acute and long-term care with a special emphasis on scientific, legislative, regulatory, and Medicare and Medicaid reimbursement.